There are several ways to search vital records for Calhoun County. The best place to begin your search for vital records such as birth, death marriage and divorce records is the Calhoun County Clerk's Office. The Clerk maintains the vital records for Calhoun County. 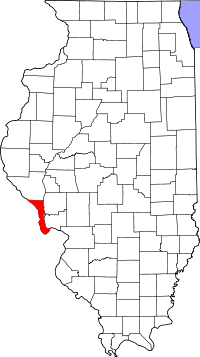 It is a good place to find older vital records prior to 1916, when they began officially being filed with the Illinois Department of Public Health. Records can be requested fro the Department of Public Health by mail or in person. Due to the large volume of requests records can take up to 30 days to process.